◆ Brings the wheel window to the foreground. The inspiration was a user suggestion from Q-Dir 3.73 internal function. But this is a system-wide function for all Windows x64 and x32 systems without DLL and as a portable tool. Always Mouse Wheel feature is Suitable: Windows 10, Windows 10 Pro, Windows 10 Enterprise, Windows 10 Home, Windows 8.1, Windows 8.1 Enterprise, Windows 8.1 Pro, Windows 8, Windows 8 Enterprise, Windows 8 Pro, Windows 7, Windows 7 Enterprise, Windows 7 Home Basic, Windows 7 Home Premium, Windows 7 Professional, Windows 7 Starter, Windows 7 Ultimate, Windows Vista Enterprise 64-bit edition, Windows Vista Ultimate 64-bit edition, Windows Vista Business, Windows Vista Business 64-bit edition, Windows Vista Enterprise, Windows Vista Ultimate, Windows XP Home and Pro, X64 and x32 all Windows, Windows Server 2000-2008,Windows Server 2012,Windows Server 2016. 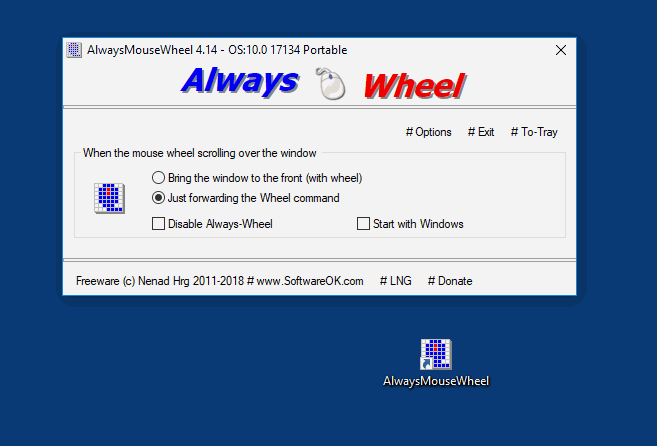 • Troubleshooting: For Windows 8.1, Portable and Non-Portable AlwaysMouseWheel is not working. 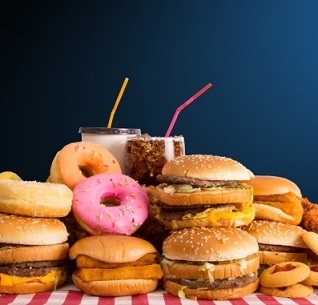 4,635 6,381 Nenad Hrg <img src="https://www.oldergeeks.com/downloads/gallery/thumbs/alwaysmousewheel_th.png"border="0"> Mar 25, 2019 - 11:52 4.17 42.1KB ZIP , out of 29 Votes.